All response to intervention support is custom built to the needs of the school and its students. We believe in a personalized approach to improving student achievement by tailoring curriculum, content, and teaching to student and campus need. Our support programs not only help students build content mastery of grade level concepts, but also provide the skills and strategies necessary for success beyond tutoring, including critical thinking skills, rigor, and deep analysis of text or word problems. Our programs are aligned to measurable goals for student success. We track student mastery level by objective, monitor student progress daily, build comprehensive student behavior and performance reports, and comply with Title I and other programs. Tutorials are driven by data and tracked in detail to support students in their academic success. Communication and collaboration is an essential component of any intervention program. Daily lesson notes and student feedback, detailed progress reports, parental involvement activities, and school staff collaboration allows us to track and report all aspects of the program in real- time resulting in targeted and more effective support for your students. Impactful Results, Supported by Evidence. Our Intervention Services Have a Demonstrated Track Record of Increased Student Mastery & Achievement. View Some of Our Recent Case Studies To Learn More. Our tutors are treated as professional educators, utilizing training, coaching, and lesson planning support required of any teacher in a school setting. We train our tutors extensively on the instructional areas required for your campus' individual needs. Tutors integrate themselves into your campus, working as colleagues alongside your teachers to move towards the common goal of improving student achievement. Strategic Response to Intervention Programs Built For You School's Individual Needs. Let Us Show You How We Can Help Today. Action Potential Learning's intervention programs in reading, writing, math, and science are student-focused, personalized and responsive to the needs of each school and each student. Our tutors serve as an extension of your school: they are highly qualified, well-trained, and possess a deep love for education. The relationships we build with your students, teachers, and administrators results in highly impactful, targeted, and customized student support that fully aligns with your campus needs and goals. Click here to learn more about our tutors and their backgrounds, as well as our hiring and training practices. WE ARE MORE THAN TUTORS. WE ARE EDUCATORS. As part of our customized approach, we hire and train qualified educators to work with students enrolled in our programs. All Action Potential Learning tutors undergo a rigorous, 3-part interview process, demonstrating subject knowledge, teaching ability and a love for education. We then provide targeted professional development and training based on school need and the specific goals of the program. The effect of providing more than simply tutors, but trained educators, has a dramatic effect on student achievement. All programs are built to align to the specific needs of each school we work with. From preferred resources, teacher and team reporting, testing requirements, to Title I compliance, we build our programs to address the individual needs and goals of your campus. Beginning with an initial assessment, we build a custom program for you, including all required resources, training, and materials, providing feedback and tracking throughout the duration of the program. Learn more about our response to intervention packages below. This all-inclusive tutorial package provides tutorials or instruction held on weekends, during the regular school day, after school hours, holidays, or during summer months as push-ins, pull-outs or whole class instruction. 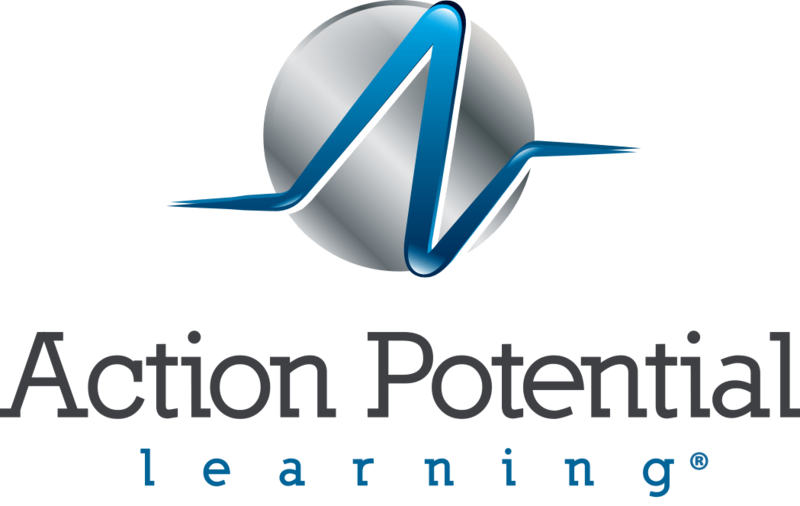 Activities, resources, manipulatives, practice tests and other assessments, curriculum, and lessons plans are provided in full by Action Potential Learning. This package contains a comprehensive program setup, recommendations and selection of lesson scope provided by Action Potential Learning, and multiple subjects and grade level lessons provided through one package. Tutorials include student progress tracking: daily session notes and/or objective mastery tracking data for students, 6-week progress report, attendance data, and behavior data within tutorial sessions. A comprehensive end of year campus report is provided when data is available. This is our most comprehensive tutorial package and includes test preparation strategies in addition to objective mastery content focus for all required standards. This package includes tutoring under Title 1 compliance. This tutorial package provides an integrated tutorial intervention program to help students master course content and improve academic achievement alongside school classroom content. Tutorials may be held during the school day as push- ins, pull- outs, or co-teaching support, or online during the school day, after school, or Saturday. Activities, resources, and lessons proved by Action Potential Learning support the work already being performed by the student's teacher at the classroom level. This package excludes weekend, summer, or holiday tutorials. Basic resources including manipulatives, student notebooks, whiteboards, and some limited resource selections, with the lesson focus and curriculum provided through a collaboration between the student classroom teacher and our tutors & instructors. This package contains a classroom- aligned program setup, and one subject or grade level lessons provided through one package. Tutorials include student progress tracking: daily session notes and/ or objective mastery tracking data for students. This tutorial package includes objective mastery content focus for all required standards and may include test preparation strategies. APL Student Support Tutorials (Per-hour cost reflects one direct tutor hour with up to 5 students in a group)- This tutorial package provides tutorials held during the school day or before/after school when activities, resources, and lessons support the work already being performed by the student's teacher at the classroom level, and where student work is provided by the classroom teachers to the tutors. Basic resources including manipulatives and whiteboards are included in the per hour rate, but regular classroom teachers or students provide homework, classwork, or other relevant content focus. Tutorials include student progress tracking including daily session notes. This tutorial package focuses only on homework help and support and does not focus on objective content mastery nor on test preparation strategies. Action Potential Learning has been the best tutoring group I have ever used. They are willing to go above and beyond to work with you. The tutors are TOP QUALITY! Once you meet them, you will want to hire them as your teachers! Your company has been a wonderful help to our campus and the tutors are amazing! I love the feedback and how well the tutors communicate student progress with our teachers. Thank you! Thank you for all your support this year with [our tutor]. I appreciate you reaching out to make sure that our students were always being accommodated with the best possible resources. She was amazing and she truly made a difference in my students she worked with. I noticed a good amount of growth, especially in their reading fluency and decoding abilities. She was very flexible with our schedule and always willing to adjust her instruction to match the focus TEK for the week. I really enjoyed working with [our tutor] and my students adored her. They are still asking when she’s coming back! I would love to have her back in my classroom next year! We definitely enjoyed working with [our tutor]. She always came in and went right to work with my struggling readers. Many of my ESL students who were struggling with reading grew and eventually passed the STAAR. Before she arrived, many of my Spanish (speaking) only students were struggling, unconfident in reading, and in dire danger of repeating the 5th grade. With [our tutor’s] help, my non-English speakers all have improved in reading and even 3 of them passed the State exam and all of them feel more comfortable speaking in English. I appreciate her help, and her patience with my students. She was awesome! I want to thank you and your staff for assisting our high school students in test preparation for college entrance exams. With this being the first time many of our students have been offered this type of support, I am pleased with the growth. Our students improved significantly on their assessments compared to last year. I am very happy with the work your tutors are doing on our campus. The tutor you assigned to assist me in my Algebra classroom is great. She always comes with great materials and works hard with the kids. My students have only positive things to say about her. After meeting with [my child’s] counselor, she said she has seen a dramatic improvement in his grades and in his work ethic since [our tutor] started working with him. Thank you! Thank you for the session yesterday with [student]. That was the first time in a while that we have seen him smiling after doing math. You gave him hope that he can pass. That is a big step in our eyes. All Action Potential Learning tutors and instructors are highly degreed professionals from a diverse range of academic disciplines including education and STEM-related fields. Action Potential Learning educators hold at least a bachelor’s degree or higher with over 33% holding an advanced degree (M.S., Ph.D., Ed.D., M.D., J.D.). In addition, over 25% of our tutors are state certified educators with specific knowledge of both relevant subject matter and educational best practices. As experts on testing strategies, our tutors on average are in the 96th percentile for historical standardized testing taken throughout their careers (SAT, ACT, MCAT, SAT Subject Tests, LSAT etc.). Tutors use concept mastery guides, individual or group learning plans, and lesson plans and guides to build learning plans for students or group sessions, ensuring every tutorial session is targeted and specific to the needs of the students. Tutors review student progress, benchmark data, and any other data provided by the school on a weekly basis through shared planning time. Supplemental training is provided to tutors to help better determine how student data should impact the tutor’s instructional practices. Comprehensive end-of-year data analysis allows us to consistently improve our services and support and provides valuable insight into the effectiveness of the programs on the school campus.